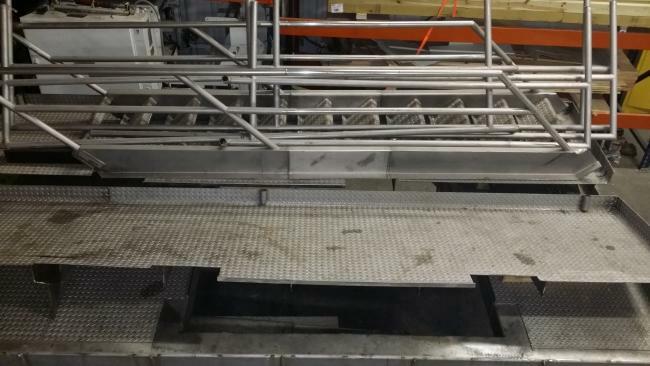 Used Heat & Control built stainless steel mezzanine for sale!!!! 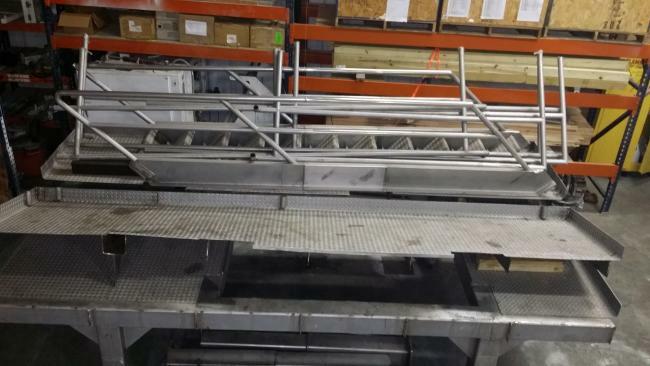 This stainless steel mezzanine is USDA 3A dairy approved. 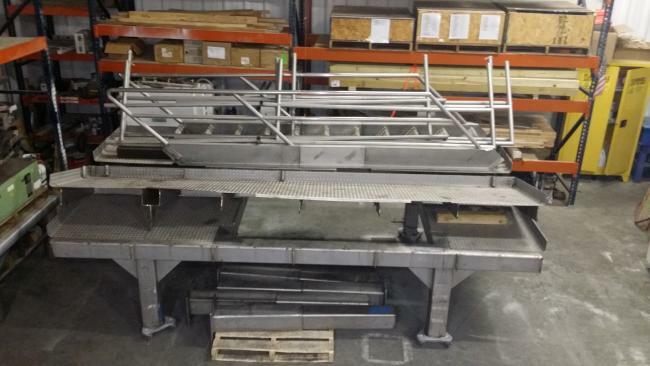 This mezzanine is approximately 161" x 145". It can accommodate a 7 liter scale that is up to 70" square. This mezzanine is complete with railings and access stairs. Easy modifications can be made to accommodate a smaller scale. This mezzanine is perfect for Ishida and Yamato scales. This mezzanine is stacked and ready to load on the truck!! !